German-American citizens wished to honor their country's cultural heroes, Beethoven and Schiller, with monuments in the Park. 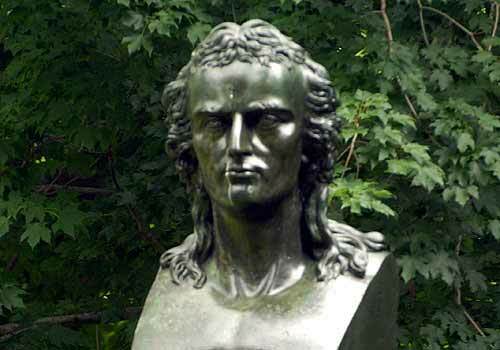 The bust of Schiller, dramatist, poet, and philosopher, was the first sculpture intended to be placed in the Park. Its original site was in the Ramble, as Schiller was a Romantic nature poet. In the 20th century, the bust was moved to the Mall, deemed a more appropriate place for the sculpture. Mid-Park at 72nd Street on the west side of the Concert Ground/Mall.